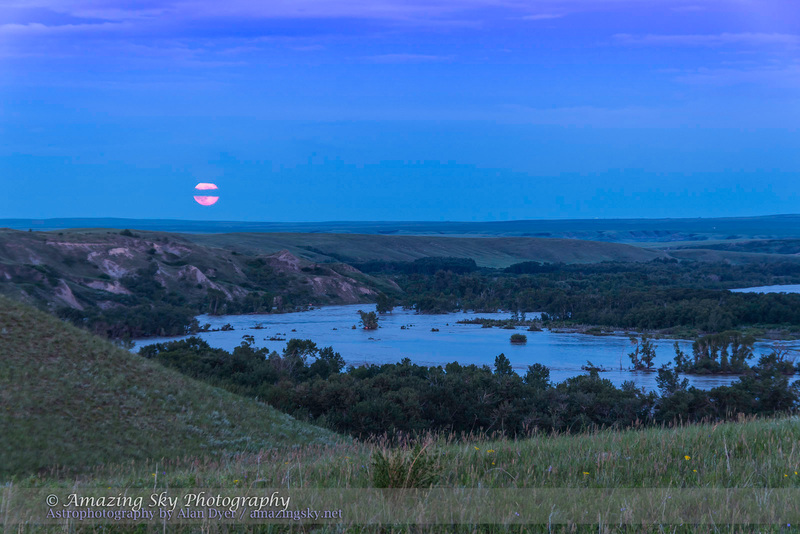 The supermoon of solstice rises over the floodwaters of the raging Bow River. The peace of the sky contrasts with the destruction being wrought below on Earth. The Bow River is many times wider than normal and has flooded most of the valley, ruining homes and lives. This view overlooks the Bow River in the area of Blackfoot Crossing, where I was this afternoon shooting daytime panoramas in the previous blog. 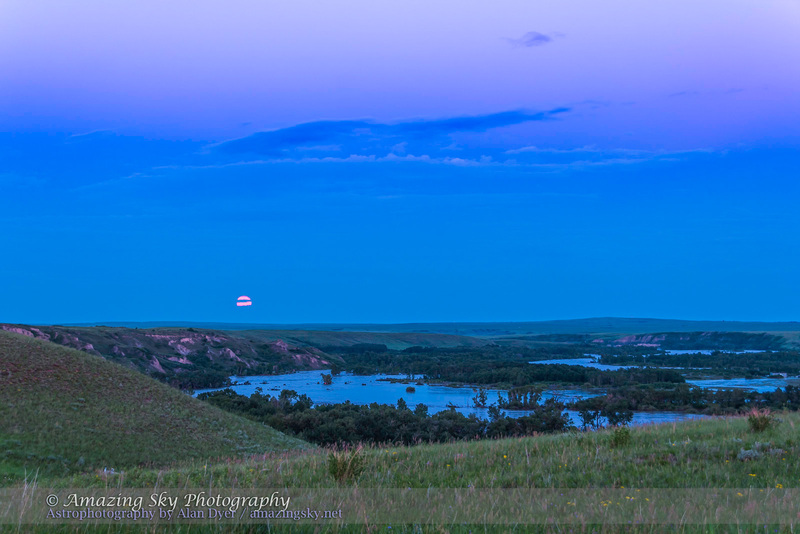 I returned this evening to catch the Full Moon as it came up in twilight over the floodwaters. 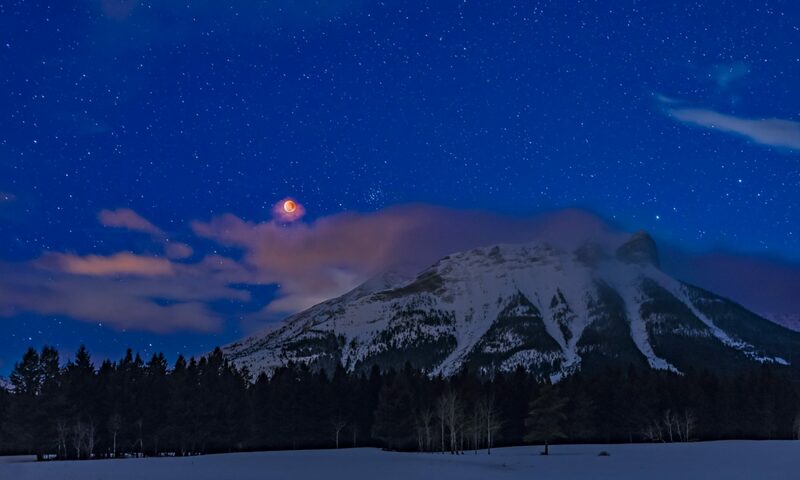 The rosy Moon contrasts with the deep blue of twilight and Earth’s shadow rising, fringed above by the pink “belt of Venus” effect, visible in the wide-angle shot. Nearby, people were camped on the hill, refugees from their homes in the valley below now surrounded by water. Fortunately the waters are receding.